DatabaseUSA.com® has the most comprehensive and accurate Veterinarians Mailing Lists available today. 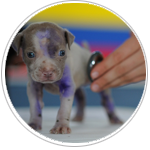 The Veterinarians Mailing List features doctors who specialize in the diagnosis and treatment of animal diseases and injuries. Veterinarians play a major role in the healthcare of pets, livestock, and zoo, sporting and laboratory animals. Most veterinarians perform clinical work in private practices. A small number of private-practice veterinarians work exclusively with large animals. These professionals can contribute to human as well as animal health. A number of veterinarians work with physicians and scientists as they research ways to prevent and treat various human health problems. Contact DatabaseUSA.com® today to receive a Veterinarians Mailing List. Our professional staff is trained to help provide you with the most accurate mailing list possible. We can target your list by region, zip code or by city or state. DatabaseUSA.com® offers hundreds of selection criteria for the best mailing lists available. Find Veterinarians and other Professionals with our DatabaseUSA.com® Professionals Mailing Lists here.